Sony Pictures has handed out new release dates for two of its upcoming family movies, Goosebumps and their Untitled Smurfs Movie. Goosebumps has moved from March 23, 2015 to August 7, 2015, where it will go up against 20th Century Fox and New Regency's video game adaptation Assassin's Creed. We reported last week that production has started in Atlanta, Georgia, with Jack Black starring as author R.L. Stine, whose monstrous creations escape from the pages of his books. He must team up with his niece (Odeya Rush) and new neighbor (Dylan Minnette) to save their town from total destruction. Amy Ryan and Ken Marino co-star in this adaptation, which is being directed by Rob Letterman. "I'm happy to report that I've gotten confirmation from Sony Pictures Entertainment that my Untitled Smurfs Movie has a new release date: it will be coming out internationally in July 2016 and in the USA on August 5, 2016, one year later than originally planned when this project was initially conceived as a live action / animation hybrid Smurfs 3. This is a great thing for my team and me, since we are performing such a major re-imagining of the Smurf universe into a more Peyo look. We have lots of story, visual development, character designs and rigs, environments, assets, props...everything...and we need this added new production time to "get all our Smurfs in a row" and make the best movie possible. Remember, this is not a sequel nor a prequel. It's a whole NEW Smurf adventure! As a director, I'm very grateful to be given the proper time to make the movie I want to make and not have to compromise the quality on any front. Most all animated features, especially those from major studios, require at least 3 - 4 years to make (some far longer), and while this Smurfs movie will still be on a faster track than most, I'm really happy Sony has made this important decision. Quality is a huge priority and it is no small task to achieve, especially on an animated feature. This all new Smurfs movie deserves the best, and Sony obviously knows and respects that. 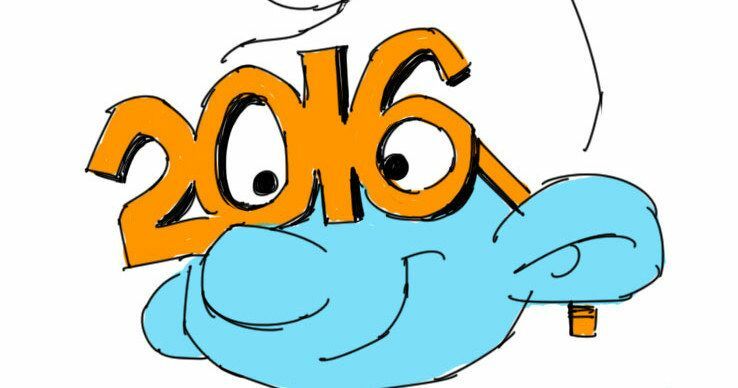 So onward and Smurfward to summer 2016!